Assistant professor Aizawa Natsuki has been traumatised by an abduction when she was young but her daily life is serene. She grew up with the support of her childhood friend Yuki Kentaro and now does physics research at Kosei University. One day, she meets a newly-appointed professor, Tatsumi Shuya, at the university just as Kentaro is thinking of proposing to her. From then on, strange things keep happening around Natsuki. Tatsumi has a grasp of what she likes and invites her to meals. And it is no wonder. He is in fact a time traveller who comes and goes between the future and the past. Tatsumi attempts to hamper Natsuki and Kentaro�fs friendship, and to entice Natsuki romantically. Natsuki is gradually at his mercy. 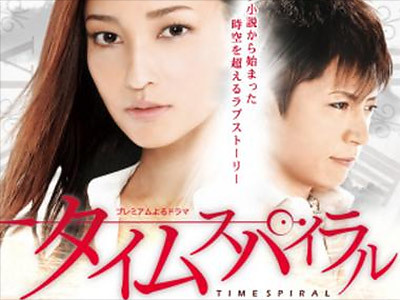 Before long, the heartrending �gpredestined relationship�h between Natsuki and Tatsumi, which crosses space and time, is revealed.